David Fincher’s films have always looked on the dark side, but there was something downright redemptive about his last film, The Game, in which a yuppie’s materialistic, spiritually moribund life is turned upside down by a mysterious organization. Fight Club, Fincher’s adaptation of Chuck Palahniuk’s hip existential novel about a cult of white-collar workers who get together weekly to beat each other up, tackles similar themes. But there’s nothing redemptive here. The film does, however, offer an intriguing window into the spiritual emptiness of modern, young urban culture. When the film begins, our narrator (Ed Norton) is dissatisfied with his life of hollow comforts — a life in which his refrigerator is, as he puts it, filled with condiments but no food — so he joins a number of support groups for the sick and terminally ill, hoping to feel something, even vicariously. 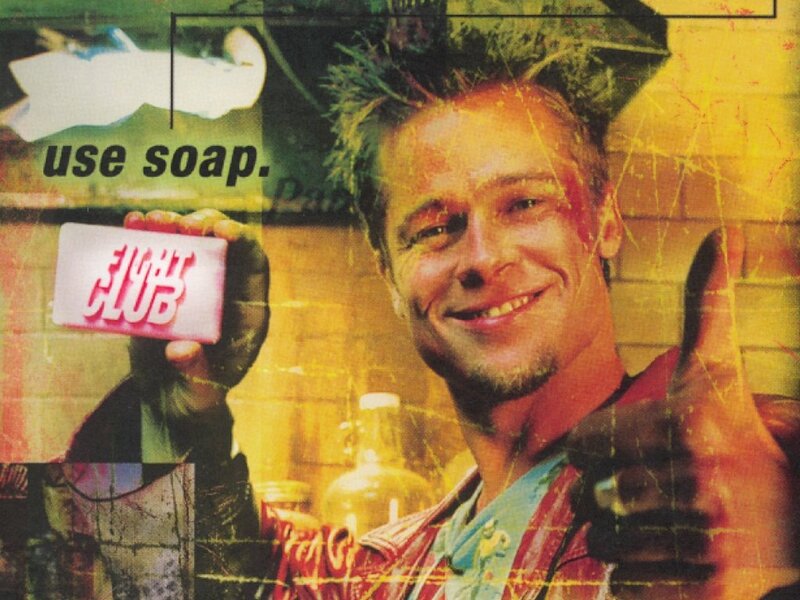 His quest for fulfilment takes a more primal turn when his apartment is destroyed in an explosion and he moves in with Tyler Durden (Brad Pitt), an anarchist living in an abandoned house. Together, they start a club devoted to consensual physical abuse, and before long, Tyler starts recruiting an army of nihilistic, culture-jamming terrorists. Tyler’s antics are, in one sense, a desperate bid for God’s attention, but he’s given up on hearing a reply. The film does articulate, in its own seedy way, some of this generation’s key concerns — concerns that won’t be easily resolved through Christianized marketing techniques and picture-perfect promises of ready-made happiness. The next wave of men’s ministries has its work cut out for it.